Keep your judges and the audience informed. 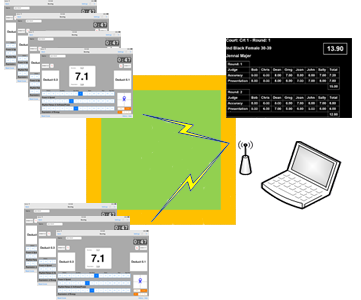 All results are sent to your local Techscore server (installed on you local windows laptop) where they are combined for a total score and displayed to the audience. 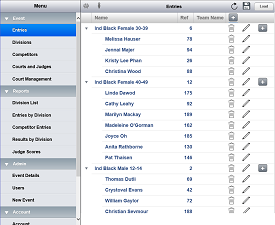 The court administrator, competition administrator, displays and all other officials access the server via an easy to use iPad style web interface. 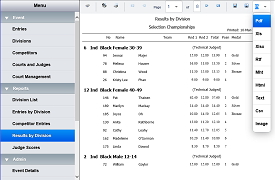 All access is via web browser so once the server has been installed there is no need to install additional software other than the TechScore iPad apps for the judges.